I literally hate writing in first person, so for this article I will become “Pam,” the seasoned nurse who has been a nurse for a very long time but NOT a patient. Pam is going to share a few key points for new and seasoned nurses to be aware of when giving care. Pam had part of her colon removed some time back, and eight years later she was diagnosed with a small bowel blockage that turned into a month long stay in the hospital. No one should have to endure a month in the hospital, but for a nurse it was certainly a HUGE challenge that would put her on the other side of the job and allow her to see, feel, and hear hospital life from a patient’s point of view. Because Pam was so ill, she had no choice but to be “held captive” until she recovered. I should probably add here that Pam, although not mean or hateful, was a challenge for her doctor, and he remained calm while she was being Pam. When working ICU, Pam was “pretty slick” at the task of inserting nasogastric tubes. She knew it was uncomfortable for the patient and was careful to explain the process before inserting. WELL…during Pam’s stay in the hospital, she had the tube placed SIX times. It was very uncomfortable to say the least. What was learned from this experience is that you MUST secure that tube so that it is not being jerked or tugged on. When there is even the slightest movement in the back of the throat you can feel like you are going to vomit. Your throat feels like someone has taken a rake to it, and the pain is awful. Remember when ambulating your patient with an NG tube to at all times keep an eye on that tube and make sure it’s not jiggling in the back of your patient’s throat. ALSO, if this is the nurse who is inserting the tube first time or it has been awhile since they have done it, DO NOT discuss the blow-by-blow directions over the patient. It does NOT make your patient feel secure in your ability!!! Be sure to ask the doctor for something to spray in the back of the throat to subdue some of the pain…your patient will love you for it if they must keep the tube for any length of time. If for some reason you find yourself in the position of needing a concentrated IV drip of potassium, believe your patient…it “hurts like hell!” Not only is there a burning sensation, but there is also a throbbing. One trick is to run the drip in with a plain line so the amount of fluid is diluted and you are not getting “smacked down” with the pure drip. Another tactic is to use warm compresses, but the easiest thing to do is follow Pam’s tactic and turn the IV infusion rate down so the pain is bearable. Remember, this is NOT the recommended answer for you but Pam thought her arm was rotting off!!! Her doctor happened to notice that she had decreased the rate from what was ordered and questioned her. In response, Pam asked if he had ever had a potassium drip and the answer was “no.” He was very understanding and knew Pam was a challenge but also knowledgeable. You WILL need a doctor’s order, of course, before adjusting the rate but be sure to frequently assess your patient for discomfort. After a month in the hospital, both of her arms were black and blue and spots to start an IV or stick for lab work were few. Initially, she had pointed out good places to get access, but it got to the point there were none left. This is another case of do NOT bring in a brand new nurse to try and gain access. Your patient is beyond patience of being stuck and prodded for the “one more time.” Yes, it has to be done, but perhaps it’s time to bring in someone that is very proficient at doing IV’S. Your pride will not be shattered and your patient will bless you for it caring! Noises, when you are sick, can be particularly annoying particularly when a nurse is listening to them. After all, we hear these sounds in our sleep and are aware of all the noises that are made by IV pumps, monitors, phones, or call bells. As a sick patient, these noises are intensified and not something that is easy for a nurse to shut out. If your patient is very ill and needs to sleep, then you block as much noise as possible. Someone outside their door laughing, carrying on a prolonged conversation or, God forbid, housekeeping is getting ready to wax the floor in their room. Do what you have to do to put a halt to as much noise as possible. It’s NOT that your patient is a crank, they are sick and not themselves and need their rest. YOU ARE THEIR ADVOCATE and you may have to be “the bad guy” in getting the noise quieted. One more thing, the patient is being taken into the halls for testing and into radiology. Those hallways are cold and so is radiology. Prepare your patient for the trip by piling on the blankets ahead of time. This is YOUR patient, and they may get to radiology and there are no available blankets or radiology may forget to ask if the patient is cold. Your patient may be too shy to speak up. Pam did not have that problem, but she saw many patients laying silently shivering. I hope that some of these points mentioned will open your eyes to the patient’s point of view. If you have never spent an extended length of time being a patient, then good for you; and I hope you never have to go through that experience. But remember, hundreds of patients are treated each year at your hospital and many of them do have extended care needs. Take ownership of your patient and their needs and look beyond and try to imagine yourself laying in that bed. There are many helpful hints to nurses in this article. Simple ideas to keep your patient more comfortable. I cannot imagine being the patient for one month in the hospital where I work. It must have been very challenging for “ Pam”. Great article. Makes nurses think. Thank you Sandi for your comment. Hopefully, many new nurses will read and think particularly about the nasogastric tube…..so important. So many points that in day to day duty can seem small, but what a difference in making a hospital stay easier and less stressful for a patient. Good article with an insightful edge and very good details. It was an engaging article that held my interest all the way through. Thank you Deanne and that is exactly what I wanted to be expressed. Excellent article. Good prospective from both sides of the situation. Thanks J.D……I’m glad you liked the article and what I was trying to express for the article not only to be seen by nurses but other patients too!!! You pointed out some excellent things to help an ill patient to be as comfortable as possible in a not-so-good situation! It does help to see things from both perspectives! Thank you for an insightful article told in a good way! Thank you Kathy…..exactly what I wanted to do!!! Very insightful from a nurses point of view. 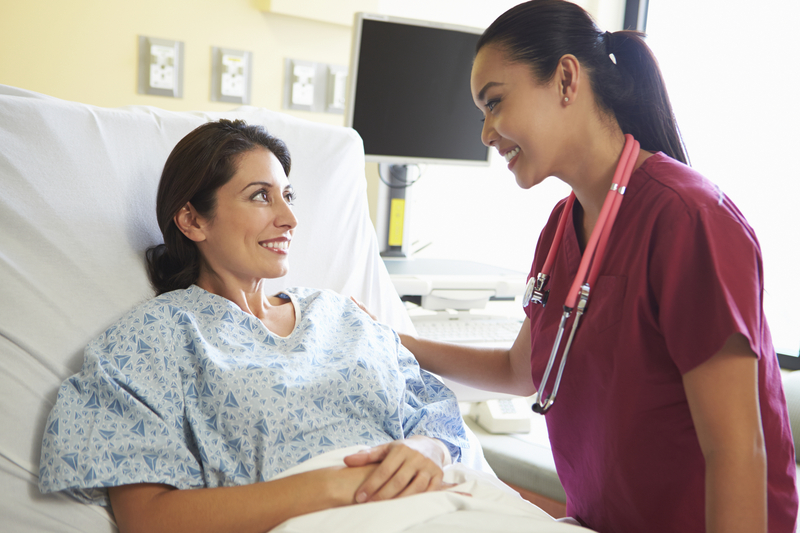 As a professional patient with many lengthy hospital stays, I learned to open my mouth. An older nurse was flushing my IV and I told her to stop. Ive had so many I knew something wasn’t right. She tried to keep pushing what turned out to be Potassium!!!!! I grabbed her hand and shouted at her to stop. She could have killed me had I let her push the whole syringe. They came running in with a crash cart and she admitted her mistake. Thank God I knew something didn’t feel right. Patients need to be aware of their bodies and when something isn’t right, speak up. From a nurses point, I loved that you saw the other side and spoke up for yourself. That experience must have been very frightening for you to say the least. I am big on patient advocacy because a great deal of people think they cannot or will not speak up. Thank God you knew enough to stop that IV push. It doesn’t matter what profession we are humans and we make mistakes……and as a health professional those mistakes can be deadly. While applauding you for knowing to call STOP….I am sure that nurse in the end was glad that you knew to say stop also!!!!! Sometimes it takes actually being a patient to recognize what it’s like for those under your care. Great suggestions from the voice of experience! Thank you Ann. I hesitated to write about myself but I learned so much from being a patient in that month……and thought some of what I had learned might help others. I love this article, thank you! I am going to share this on Daphne’s Lamp. One of the areas we focus on is patient advocacy and always starting at least invasive is my motto and certainly with babies and children be smart about all your care. Extra pokes should be limited and comfort and rest is key! Thanks for writing such a poignant article! Thank you Desiree and appreciate your sharing. I agree with children, as much as possible, we should certainly be as non-invasive as possible!!! These are some great points that are valuable takeaways from this article. This article does an excellent job demonstrating significant care to make others more comfortable. I appreciate you sharing your story with us to help others. Thank you Elise!!! I hope that many take away from this article the lessons I learned. If I would have known these lessons much earlier (like the movement of the NG tube and how horrible it could be) …..I would myself have been much more careful. Enjoyed it, dear friend. You definitely know what it is like on both sides of the bed rail! Thank you Tom! I know you have also had your stays in the hospital & appreciate your response. I too spent a few days in the hospital a couple of times. When I was sick and in pain I didn’t care what I looked like but as I became better and more aware of my surroundings I felt like the nurses were there just to poke their heads into the room to see if I was still breathing. I had to ask for clean gowns, bed sheets, and wash cloths. No one helped me wash up or get out of bed. If it wasn’t for the fact That I’m a nurse I wouldn’t have done anything! What happened to patient care? Felt the same way in the beginning of not caring what I looked like because I was so sick. That was unfortunate for you!!! I had excellent care where I was admitted. I know for a fact that we were better staffed when we were younger nurses. The staffing shortage has become apparent in many hospitals and nursing homes & that TLC has become hard pressed because of it!!! Thank you Darrell for being that kind of pilot…..I for one DO NOT like turbulence and am sure most people would say the same thing!!! God forbid, but if you ever are a patient for an extended length of time I pray that you have what I had….a loving and campassionate group of nurses to care for you!! !